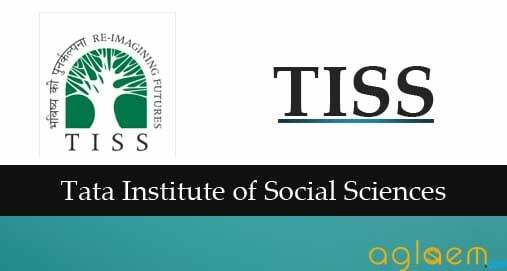 TISS has issued notification for admission for the Integrated M.Phil-Ph.D. and ‘Direct’ Ph.D. Programmes (the academic year 2019-2021) with the various Schools and Independent Centres of the Institute across TISS Mumbai, Tuljapur, Guwahati and Hyderabad Campuses. Candidates can read all the necessary details of TISS M.Phil & Ph.D. Admissions 2019 such as how to apply online, eligibility criteria, fee details, exam pattern, and selection process from this page. Latest: Detailed schedule for candidates who have qualified for the Personal Interview is announced. Scroll down to check the same. The Application process for TISS M.Phil & Ph.D. Admissions 2019 is available now. UGC JRF qualified candidates, postgraduates, students in the final year post graduation in Social Sciences and allied fields and individuals with M.Phil and/or industrial, academic and field-based experience in Social Sciences, Social Work, Disaster Management, Development Studies, and allied fields were invited to apply for TISS M.Phil & Ph.D Admissions 2019. Only those candidates who had registered successfully and shortlisted for Research Aptitude Test are eligible for Research Aptitude Test (RAT). The list of candidates who have qualified for the Personal Interview round from the Research Aptitude Test (RAT) that is held on the announced date at the Mumbai, Hyderabad and Guwahati Campuses has been published on the official website. Candidates can check from a link provided below. Click here to check the Detailed schedule for candidates who have qualified for the Personal Interview. Click here to check the list of shortlisted candidates for Research Aptitude Test (RAT) held on February 08, 2019. Application process has been over. After the successful process of application eligible candidate can able to download the admit card for M.Phil & Ph.D. Admissions 2019. Candidate can download the admit card from the official website or can download from provided link below. Admit Card: Click here to download the Admit Card for M.Phil & Ph.D. Admissions 2019. The scoring for RAT is 100 marks and the interview is for 100 marks. RAT will assess research and analytical abilities and the personal interview will assess candidates research aptitude, competence, subject knowledge and suitability to join the research stream. Model Test Paper: Click here to check the model paper for RAT. Candidates must complete the application process in online mode. The online application can be saved at any stage (information entered will remain intact). The candidate can then return to the application by logging in with the respective username and password at any time before the submission deadline of January 15, 2019, by 6:00 PM. Once the application has been submitted online, candidates can choose the mode of payment of the application fees (Credit card, Debit card or net banking). Click here to apply online for the TISS M.Phil and Ph.D. Admissions 2019. Note: In case of payment by cash deposit in an SBI branch, please note that the SBI will charge Rs. 50/- as their processing fee for each deposit, which cannot be adjusted against the application fee. Payments made via demand draft, pay order or any mode other than the above modes is not acceptable and the application will be rejected. 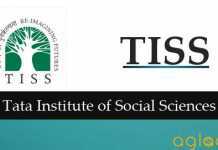 A candidate may apply for a maximum of two programmes from among the different programmes offered at TISS Mumbai, Hyderabad, Tuljapur campuses. Candidates can apply for two programmes within one or across more than one campus. The Research Aptitude Test (RAT) can be taken at any one of the chosen campuses on February 08, 2019. The RAT score is valid across campuses and two choices. Unemployed candidates whose parent’s / guardian’s annual income from all the sources for the Financial Year 2016-17 is less than Rs. 2.5 lakhs for SC/ST and Rs. 1 lakh for OBC – NCL (Non-Creamy Layer) fulfill the criteria to apply for GOI-PMS sponsored by the Ministry of Social Justice and Empowerment for SC/OBC (NCL) and the Ministry of Tribal Affairs for ST students. It is the responsibility of eligible candidates to apply in time for availing scholarships on time. The OBC (Non-Creamy Layer) Certificates issued before 31st March 2017 will not be considered. Please note that while caste certificate is issued once in a lifetime, the Non-Creamy Layer certificate depends on the family income of the candidate in the previous financial year and hence the NCL certificate has to be obtained for the period after 1st April 2018. Note: Candidates facing genuine technical issues/having difficulty in accessing the online application may write to [email protected] mentioning their name, contact details and a clear description of the problem being faced or may call 022-25525252. The list of candidates (campus wise) who have been shortlisted to appear for the RAT examination to be held on Friday, February 8, 2019, at Mumbai, Guwahati and Hyderabad Centres are provided in the link given below. Eligible Candidates: Click here to check the list of candidates shortlisted for RAT 2019. The minimum academic qualification for admission to the integrated M.Phil. & Direct Ph.D. programmes is a Second Class Masters or equivalent degree in the relevant subject awarded by a recognized university in India or abroad, with at least an average of 55 percent of aggregate marks, or a grade point average of 3.5 under the seven-point scale of the University Grants Commission (UGC). In the case of SC/ST/OBC(non-creamy layer)/differently-abled candidates, the minimum eligibility is an average of 50 percent of aggregate marks, or a grade point average of 2.05. Candidates who are likely to complete all the requirements of their final year Master’s Degree examinations by July 1 are also eligible to apply for M.Phil, provided they have completed their first year Masters degree. In such cases, admission will be provisional. If a provisionally admitted student completes the admission formalities such as clearing the Research Aptitude Test but fails to score the minimum required mark/grade at the end of the final year examination of his/her Master’s degree, the offer of provisional admission will be automatically canceled. A minimum of five years of post-graduation work experience is required for Direct Ph.D. programmes. In the case of the Integrated M.Phil-PhD Programme, there is no requirement of work experience. However, candidates with one to two years of work experience will be preferred. Click Here for more details of Eligibility Criteria. Information concerning TISS M.Phil & Ph.D. 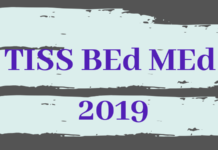 Admissions 2019 is provided on this page. Candidates may go through the details with the given link. The model paper and rules for the Research Aptitude Test (RAT) along with the guidelines for shortlisting will be put up on the TISS website by early January 2019. Candidates who have cleared JRF, GATE and other relevant exams are also expected to attend the Written Test and Personal Interview*. The list of shortlisted candidates from the eligible list of candidates for all the programmes will be displayed on the TISS website. These candidates will be required to appear for the PI as per the email communication sent to them. Apart from the fulfillment of academic criteria the shortlisting of applicants for the Personal Interviews for Integrated M. Phil – Ph. D. programme and direct Ph. D. programme will be linked to the statement of purpose/ research proposal and the domain expertise available at the Schools / Centre. The final selection process will be completed by mid-May and the final list of candidates and relevant information will be uploaded on the TISS website. All candidates who appear in the final selection list are required to bring a hard copy of their duly filled in application form duly filled along with original caste, income and degree certificates as applicable for verification. 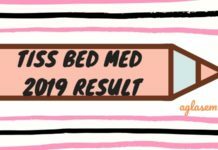 Selected candidates are expected to pay fees by end of May 2019. FAQs For TISS M.Phil & Ph.D.
TISS M.Phil & Ph.D. Admissions 2019 has been provided. Desired candidates are now able to perceive the FAQs by the link mentioned below. For Complete information regarding TISS M.Phil & Ph.D. Admissions 2019, Candidates may visit the Official website given below.